With over 20 years of experience, Todd brings traditional, high- end principles and an understanding of contemporary lifestyle to his work. With his keen sense of color, beautiful wall finishes, great art and touches of whimsy to reflect the clients’ personality, Todd creates exciting spaces. The comfortable elegance of the living spaces Todd designs illustrates his philosophy of living well and with style. His vivacious and enthusiastic personality make him a joy to work with. Todd has worked on projects in Europe and throughout the United States, with clients based in Massachusetts, New York, California, Texas, Virginia, Connecticut, and Long Island. His clientele is as diverse as his interiors and ranges from bachelors, to young families, to established multi-homeowners who all receive the same attentiveness and quality of work. 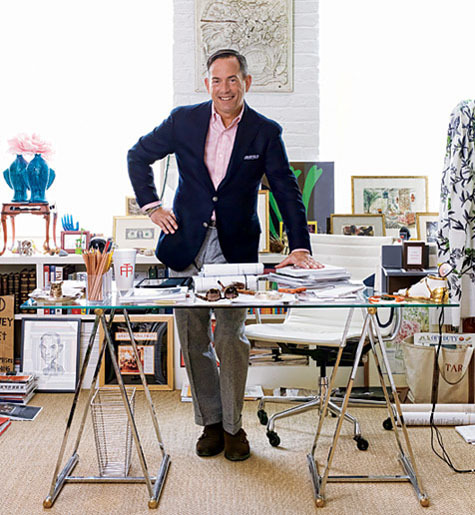 Todd’s work has been featured in Architectural Digest, Departures, Elle Décor, House Beautiful, House & Garden, The New York Times, Southern Accents, Town & Country, Traditional Homes, and Lonny Magazine. He has been included on numerous lists of the Top 100 Decorators in America and received accolades for his work in the 2012 Kips Bay Decorator Show House. Todd is currently at work on projects in New York City, The Hamptons, Greenwich, CT and San Antonio, TX.